The reality of life in Israel separates Jews from Arabs. However, it is in the interest of both peoples to create a partnership that will make it a just and secure land for all. Joint Jewish-Arab action and shared politics are the central political principles I believe in. A Jewish-Arab partnership means swimming against the current within both communities, Jewish and Arab. We have to swim against the dark wave of xenophobia and racism, and I am convinced that in the end, if we do what we need, we can even change the direction of this current. Striving for Israeli-Palestinian and Israeli-Arab peace is the second main principle of my political work. For Israel, the achievement of peace is an existential need. If Israel cannot find a way to live in peace with its neighbors in the surrounding Arab and Muslim world, we will have no future here. True Israeli-Palestinian peace must ensure justice and independence for both sides, and must provide the Palestinians with what Israelis already have – an independent state. The path towards peace is difficult and complicated, but the current situation is the real danger. It is one in which a large number of Palestinians in the territories live under occupation. A situation in which Palestinians and Israelis lack basic security, in which people are dying, among many of them of innocent. In this reality, war could break out at any moment, more devastating than any war so far. The reality of war also overrides urgent social, economic and ecologic questions, and prevents the broad social change needed here. This social change is a core principle in my world view. I believe that the unequal social-economic system we live under requires significant transformation. In this system a small minority acquires incredible wealth, while the majority falls behind: new forms of poverty are spreading, the middle class is eroding, and social security networks created in the past are disintegrating. The social system requires a major change. I call this change “socialism”. But by socialism I do not mean the longing for failed regimes of the past, nor sympathy for the tyrannies of today that paint themselves in red. For me, socialism is an unwillingness to settle for piecemeal change in the existing social system, which not only enhances social inequality, but is also leading to an ecological disaster that threatens our very existence. For me, being “green” in today's reality of today, requires being truly “red”. And being truly “red” requires being totally “green”. I was born in 1958 in a maternity hospital in Petah Tikva, but, in reality, I have been a Tel Aviv resident since childhood. I am married with three sons. My parents David (Sasha) and Shulamit were true idealists. My father's activism began as a teenager when he worked in opposition to the British Mandate, and he kept it up as a leader in Maki (the Israeli Communist Party) and Hadash (the Democratic Front for Peace and Equality). My mother, who was born in Tel Aviv's Kerem Hateimanim neighborhood, worked for many years as a nursery school teacher in the city's Hatikva neighborhood. She educated generations of pupils, many of whom remember her to this day. My paternal grandfather was a Habad Hasid and one of the community's leaders in Palestine. My maternal grandfather was also ultra-Orthodox; he was a member of the Old Yishuv in Hebron and Jerusalem and the patriarch of a large family. I grew up in a warm and supportive immediate family; my extended family was quite politically pluralistic and diverse. Family gatherings featured religious and secular Jews; communists; members of the Irgun, Haganah, and Lehi all sitting around one table engaged in fierce debates but always in an environment that exuded warmth and love. I attended elementary school at the Tchernichovsky School near Gan Meir and then attended Tel Aviv's Municipal High School 'H'. The roots of my political awareness lie in these animated family conversations and arguments about politics. I believe that the roots of my social awareness lie in my mother's nursery school in the Hatikva neighborhood where I spent long hours as a child and, later on, as a teacher's assistant during school vacations. And it appears that my awareness of environmental issues began on the Tel Aviv beaches where I spent a great deal of time as a child and teenager, in part because close relatives were legendary lifeguards at the municipal beaches. As a teenager, I loved to hike the country, and on weekends, I often organized treks with high school friends. Only later did I bring together these areas of my life—the concern for the political, social, and environmental—when I realized that environmental threats harm people and that environmental problems are really social ills. In other words, the people harmed by these problems have a specific social profile, and the environmental damage typically results not from human error but from specific interests. Over the years, I have come to understand that environmentally oriented thinking cannot be limited to managing and preventing pollution; it also needs to address the management and allocation of resources: air, water, land, and natural treasures. This insight quickly led me to join campaigns for beaches, gas and other natural treasures, and the equitable allocation of land between local authorities. My first significant political experience came during high school when I joined the Open Left youth group, which was active at the time in Tel Aviv. In this movement, we held spirited conversations late into the night, but we also tried to carry out public activities, especially among our fellow pupils. Before my recruitment to the IDF, I informed the military authorities that I would not be willing to serve outside the Green Line. To my surprise, I received an answer that my request had been approved. And so, the entirety of my three years of military service was spent on bases in pre-1967 Israel. Immediately upon my discharge from the IDF, I began studying law at the Hebrew University in Jerusalem. During my first year of studies, my fellow students and I established a student movement called Hetz (Just Society), which was active in the poor Jerusalem neighborhoods to advance social and political change. We were in close touch with activists in the 'tent movement' who were active in these disadvantaged neighborhoods. Later on, I helped establish 'Israel is Me,' the national movement of the activists and residents of these neighborhoods. The trip we undertook through the disadvantaged neighborhoods throughout the country was one of my most important political experiences. The founding event of 'Israel is Me' took place in the Tel Aviv Cultural Center, which was packed to the gills with activists. It was an exciting moment, and there was a sense that change was on the horizon. Unfortunately, the organization splintered before the 1981 elections when many of the major activists decided to cross over into electoral politics and join the Tami party, which ran for the Knesset. At the same time, I was active in CAMPUS, a Jewish-Arab student group at the university. We campaigned against the far-right leadership of the student union in Jerusalem, a right wing whose notable activists included Tzachi Hanegbi, Yisrael Katz, and Avigdor Liberman. Our campaign ended with a dramatic victory; in the 1982 elections the union's right-wing leadership was toppled by a broad coalition from the left and center. In summer 1982, I joined my fellow CAMPUS members in the first protest against the Lebanon War. It was clear to me then—as it still is today—that wars cannot solve the Israeli-Palestinian and Israeli-Arab conflicts. On the contrary, they only exacerbate and aggravate the existing problem. My activity in the movement opposing the Lebanon War was an important political experience: From a small core of a few dozen activists, we managed to expand to hundreds, even thousands, and later on to many tens of thousands that helped bring about an end the war and, ultimately, the withdrawal from Lebanon. Joint Jewish-Arab work and Jewish-Arab politics are a major tenet of my political beliefs. Life in Israel tends to divide Jews and Arabs. But the interests of our two peoples lie in forging partnerships that will make this a just and secure place for us all. It is clear to me that to espouse Jewish-Arab partnership is to swim against the current, in both the Jewish and Arab sectors. But one must swim against the ugly current of hatred and racism. I am confident that ultimately, if we work properly, we can even reverse this current's direction. The quest for Israeli-Palestinian and Israeli-Arab peace is a second major pillar of my political philosophy. Achieving peace is an existential need for Israel. If Israel cannot find a way to live with its neighbors in the large Arab and Muslim region in which we find ourselves, we will not have a future here. Real peace between Israelis and Palestinians must ensure justice and independence for both peoples. The Palestinian people, too, need what Israelis have—an independent state. I am not naive. I know that the path to peace is complicated and difficult. I know that that peace has its opponents. There are those among my people who believe in the false vision of the Complete Land of Israel. And among the Palestinian people, there are forces that believe in turning the entirety of Palestine into an Arab or Muslim state. In order to make progress towards peace, we will need to overcome this opposition. At the same time, it is clear to me that it is the current situation that is really dangerous and difficult. In the current reality, masses of Palestinians in the Territories are under occupation. In this situation, neither Israelis nor Palestinians have basic security; people—many of them innocent civilians—are being killed all the time. In this situation, another war, worse than the previous ones, can break out at any moment. And above all, the reality of war is what allows us to turn our backs on all the burning social, economic, and environmental questions and thereby hold back the social sea-change that needs to happen here. These three political pillars led to me to activism through Maki and Hadash, frameworks in which I found the political connection between them. At the same time, I volunteered in social-change and environmental organizations, including Green Action and the Heschel Center (where I had the privilege to be in the first cohort of its excellent fellows program). I coordinated the Israeli research team that worked with the global Worldwatch Institute. I have been a member of the Maki and Hadash leadership since 1990. In 2003, I was elected chair of Life and Environment, the umbrella organization of Israeli environmental NGOs, and I filled this role until I was elected to the Knesset in 2006. Upon completion of my law studies, I began working as a lawyer in the Tel Aviv offices of Amnon Zichroni and Avigdor Feldman. During my years practicing law, I handled many pro bono cases defending human and employee rights. I handled cases defending the rights of Negev Bedouin-Arabs, I filed the historic petition against the Military Censor's ban of the play Ephraim Returns to the Army (the Supreme Court's decision in favor of the petitioner led, practically speaking, to an end to the censorship of plays in Israel), and, in 2003, I represented the five conscientious objectors pro bono before the military court that examined the limits of conscientious objection in Israel. 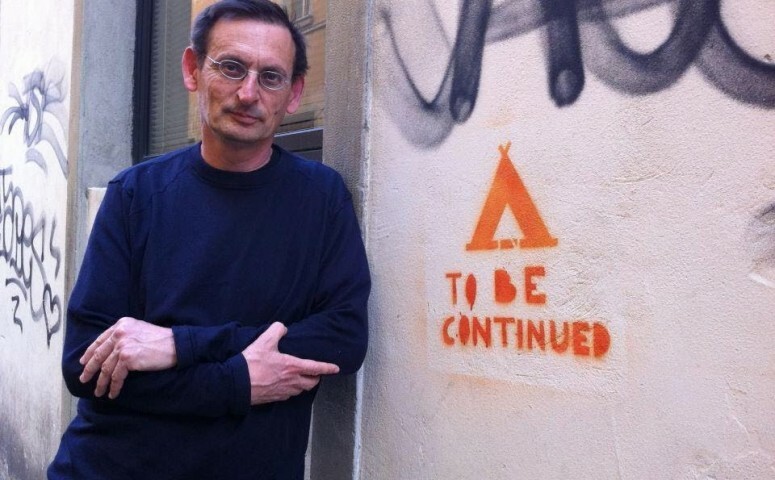 I returned to academia in the late 1990s, this time for a doctorate at Tel Aviv University. My dissertation examined the functioning of the mechanism that creates political consensus, which Antonio Gramsci termed 'hegemony.' I tried to demonstrate the functioning of this process in the past and present through a comparative analysis of the discourse mechanisms in two social-democratic parties: the British Labour Party and Mapai, the precursor to Israel's Labor Party. After I completed my doctorate, I was awarded a generous scholarship that allowed me to pursue post-doctoral studies at the University of Oxford. I dedicated that year to researching the connection between the environment and politics while focusing on the political campaigns surrounding the climate crisis and the attempts to address it. Over the years, I have published a number of articles on social, environmental, and political topics. Beginning in 2000, I edited the Simanei Haim (Vital Signs) series of books, which examined environmental, social, and economic issues in Israel and around the world. The book I co-authored with Prof. Arie Arnon, Makom Letikkun (A Different Perspective), on economics, society, and the environment, was published in 2004. That year, Mishpetei Hasarvanim (Refuseniks Trials), which presented some of my fundamental arguments from the trial of the conscientious objectors, which had taken place the previous year. In 2005, I gave a series of lectures of the globalization crisis through Army Radio's 'University on the Air.' A year later, I published my book Globalizatziya (Globalization), which was based on these lectures. That year, a book I helped edit, Tzorkhim Olam (State of the World 2004), was also published. Between 2004 and 2006, I taught at the Tel Aviv University Faculty of Law, and I served as the academic director of the Faculty's environmental justice program. I was elected to the Knesset in 2006 on the Hadash list. The Second Lebanon War broke out not long afterwards, and I found myself—along with my colleagues from Hadash—as the sole opponents of the war once again. These were trying times for us in the Knesset, as we faced invectives from the vast majority of the Knesset members. In hindsight, our opposition to the war was correct; in the end, apparently, the Second Lebanon War, too, was a disaster. It brought destruction, death, and loss to many homes and families but did not actually resolve a single problem. My work in the Knesset often forces me to adopt the position of an unaccepted minority. I invest a great deal of time and effort opposing anti-democratic steps and legislation which have been advanced in recent years. There are also many laws against which I was the lone dissenting voice, at least at the outset. These included, for example, the Biometric Database Law (http://www.ynet.co.il/articles/0,7340,L-3614781,00.html), the bill that would have imposed a prison sentence on cyclists riding without a helmet (http://www.ynet.co.il/articles/0,7340,L-3429975,00.html), and a bill that would have imposed a draconian prison sentence on Israelis who provide assistance to asylum-seekers (http://www.globes.co.il/news/article.aspx?did=1000536002). These three cases provide reason for optimism; my one-man opposition at the outset provoked a reaction and sparked a debate, and the opposition—both within the Knesset and outside it—grew to the point where these measures were blocked. This is not always the case. There are many areas in which opposition and criticism do not result in change. Nonetheless, I believe that the positions I take are important, indeed vital, for our society. But my parliamentary work is not limited to criticizing harmful moves. I invest a great deal of time and effort in trying to change the situation on the ground. To that end, I have sponsored dozens of bills that the Knesset has passed related to women's rights (extending maternity leave, raising the minimum marriage age, protecting women in battered women's shelters, representation of women in local authorities, and many more), workers' rights (an employer's responsibilities towards contract workers, preventing seasonal firings, among others), human rights (protecting the rights of prisoners, providing for alternative legal proceedings for minors, among many others), the environment (the Clean Air Law, the 'Polluter Pays' Law, environmental enforcement laws, the Environmental Transparency Law, the Sea of Galilee and Gulf of Eilat Protection Laws, and many more), LGBT rights (the prohibition against discrimination on the basis of sexual orientation in the public employment service, the prohibition against discrimination on the basis of sexual orientation and gender identity in the education system), and animal protection (expansion of the responsibility of animal owners, expanding the Prevention of Cruelty to Animals Law, and many more). The full list of laws I have sponsored can be found at: http://www.dovblog.org/laws. Sometimes, a bill can lead to change even if it doesn’t become law. This was the case, for example, with the initiative to raise the minimum hourly wage to NIS 30; thanks to a combination of parliamentary work and public support, the minimum wage rose significantly. My social-change efforts at the Knesset are not limited to working on legislation. I make extensive use of other parliamentary tools, such as parliamentary questions, motions, and committee meetings to promote the ideas I believe in. 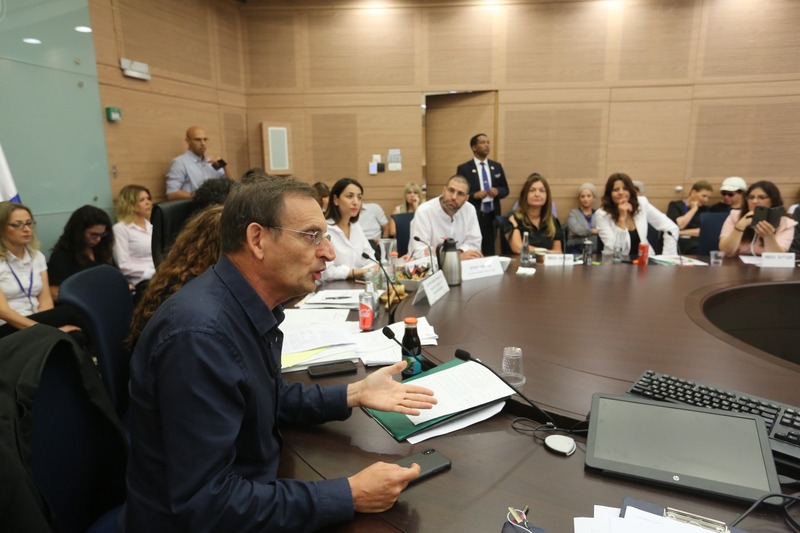 During the 18th Knesset, I chaired the Joint Committee on Healthcare and the Environment, which played an active role in combating environmental hazards throughout the country, including helping block the dangerous plan to extract shale oil in the Judean Lowlands. During the 19th Knesset, I headed a subcommittee that examined the environmental pollution in Haifa Bay. We formulated clear-cut conclusions, foremost among them the demand for policies that would quickly reduce the dangerous levels of pollution in the Gulf. All the professionals gratefully accepted our conclusions, with which the national and local authorities professed to agree (they even called them a 'roadmap to change'). Unfortunately, these conclusions have not been implemented to this very day. 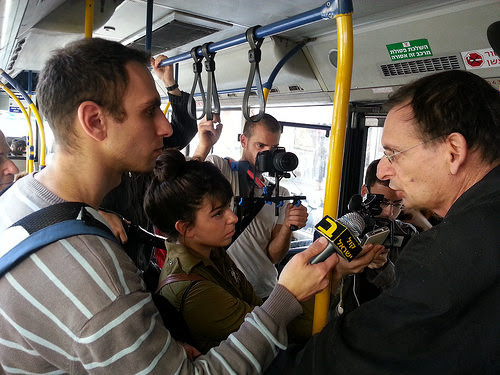 In the 20th Knesset, I chair the Subcommittee on Public Transportation. In this context, I have invested a great deal of effort in reducing public transportation fares. These efforts, which have been undertaken together with the Ministry of Transportation and other political actors, have led to significant fare reductions. We are now investing a great deal of effort in expanding public transportation in the periphery, and especially in Arab localities. Here, too, there is a sense of real progress. We worked with the Transportation Ministry to make public transportation linguistically accessible in Arabic, and I hope the fruits of these labors will be publicly evident already in the coming months. We have helped advance the grand Mahir La'ir (Quickly to the City) project, a large plan to grant priority to public transportation at the entrances and main arteries of Metropolitan Tel Aviv (Gush Dan). And we intend to promote development of a comprehensive plan for an advanced, efficient, and inexpensive system of public transportation in Israel. I am a great believer in collaboration in the Knesset. The vast majority of Knesset members have been elected on the basis of political stances that differ greatly from my own. But I am convinced that it is possible and important to find common ground—at least one issue on which to collaborate—with almost every one of them. Precisely because I view the necessary political change as a lengthy journey, I am prepared to work together with anyone who is prepared to take even a few steps forward with us though we may not continue together afterwards. It is in this spirit that I am spearheading a series of initiatives to promote parliamentary cooperation. Immediately upon my election to the Knesset, I established the Social-Environmental Lobby. I head the Lobby for Direct Employment, the Housing Lobby, the Lobby for Public Health, the Lobby for Promoting Green Energy, and the Lobby for Holocaust Survivors. I head these lobbies together with other MKs, from other parliamentary groups, who have been willing to join me in the efforts and activity in these fields, and I am extremely grateful for their collaboration. I dedicate a great deal of my parliamentary work to assisting grassroots social-change campaigns. We work with a great many of them, including campaigns by workers, by neighborhood residents against eviction and the destruction of their homes to benefit real-estate projects (Kfar Shalem, Givat Amal, Haargazim, and more), and by Arabs against seizure of land (al-Araqib, Umm al-Hiran, Dahmash, and many more). I believe in the deep connection between parliamentary work and activism campaigns in the field. It is clear to me that Members of Knesset have much to contribute to these efforts. But large-scale change can be attained only if and when people enlist to make it possible. I am a great believer in the principle that people will free themselves, or else they will not be freed at all. I am proud that my work and the Knesset has drawn praise over the years. In 2010, I was named Knight of Quality Government as a legislator by the Movement for Quality Government. In 2012, I was ranked first on the Social Index of MKs by the Social Guard, which follows MKs' activity. Since then, I have been consistently given excellent rankings on the Index. That year, I was also granted the Outstanding Parliamentarian Award by the Israel Democracy Institute. I have also been awarded the Green Globe, which is bestowed by environmental organizations, several times. I am also proud to have been ranked highly on indices measuring support for children's rights and animal welfare. I could not have accomplished any of this work alone. Throughout the years, I have maintained an excellent staff of talented and dedicated parliamentary advisers, complemented by many volunteers, who help manage the massive volume of work. Each one is deserving of my warm thanks and appreciation. I also value and thank the members of my parliamentary group, our staff, and the professionals at the Knesset who have aided our work over the years. I will conclude with a challenging and special experience in politics from when I ran for mayor of Tel Aviv–Jaffa in 2008. I ran as the candidate from Ir Lekulanu, a local progressive environmental-social movement that we established in the lead-up to the elections. The incumbent mayor, Ron Huldai from the Labor Party, built up an impressive coalition that included Meretz, Kadima (the ruling party at the time), the Likud, the religious and Haredi parties, and the local Pensioners Party. He also gained the support of City Hall, the Histadrut labor union, and the municipal employees' union. We ran against him in a campaign that compensated for a lack of funding with volunteers' excitement and energy. We flooded the city's porches with cheap signs bearing the movement's name and candidate. Because we didn't have the budget to rent out halls, we held our election events out in the open, thereby reclaiming the public space for public activity. Ultimately, Huldai was reelected, but I got more than 34% of the vote, including a large majority of young voters. Ir Lekulanu became the largest group in the city council. And though we did not win the election and we were left in the opposition, Ir Lekulanu had a significant impact on municipal affairs: We promoted transparency and even some amount of public participation, furthered public transportation, stopped the wave of evictions and demolitions in Jaffa and Kfar Shalem, promoted the use of bicycles in the city and of green space for public benefit. Ir Lekulanu even managed to put the housing crisis on the agenda, and I believe that the energies it generated contributed to the foundations of the large public protests of summer 2011. I learned a lot from the Ir Lekulanu election campaign. I learned a lot about my hometown: the challenges, hopes, pains, and difficulties experienced by various groups in this fascinating city. But what I learned most of all is the extent of the change that is possible in our society. We need to know how to think outside the box. We need to know how to translate socialist and environmental values into concrete solutions to the questions that engage people. We need to know how to create a brand of politics that brings the public into the campaigns for their future. And when these things get done, change is really possible. I will never forget this lesson, which will continue to guide my activity in the future. Law for Adequate Prison Conditions – Bill to ensure adequate prison conditions that protect the health and dignity of prisoners, including medical treatment, proper care, a bed, mattress and blankets, a cabinet, suitable and healthy food, ventilation and light in the cell and daily walks in the open air. The law applies to all prisoners without distinction, including security prisoners. Transparency of Decisions of the Israel Lands Authority – Requires the Israel Lands Authority (ILA), which controls more than 90% of state-owned lands, to publish all its decisions immediately on the Internet, in order to prevent the possibility of corruption, discrimination, nepotism and the favoring of financial interests. Prior to the enactment of the law, only 51 out of 1800 administrative decisions of the ILA were published. Prohibition of Entrance Fees to Public Parks – An amendment to the Municipalities Ordinance that prohibits local authorities to collect entrance fees to public parks. Together with MK Moshe Gafni and MK David Azoulay. Prohibition of Attachments on Mobility Grants for the Blind – Mobility grants, which enable blind people to pay for assistance for basic mobility needs (e.g. shopping at the supermarket) and to integrate in society, will henceforth be protected from all types of attachments. Since a significant proportion of the blind in Israel live below the poverty line, many suffer from attachments on their accounts due to debts. Together with MK Meir Shetreet. Law for the Rights of Victims of Crime – Grants status to victims of hit-and-run crimes during the process of plea bargaining with the offender. Together with MK Zeev Bielski. Prevention of a Criminal Record for Military Offenses – such as the refusal of an order or absence without leave. In December 2010 this bill passed the preliminary reading together with a similar bill by MK Miri Regev and was sent to the Foreign Affairs and Defense Committee. Relaxation of Mandatory Helmet Requirement for Cyclists – This law significantly narrows the law enacted by the 17th Knesset, which made cycling without a helmet a criminal offense. Under the new law, only those engaging in interurban and extreme sports cycling as well as children and juveniles are required to wear helmets. Together with MK Shelly Yachimovich. Law of Entry to Israel (Extension of Work Permit for a Foreign Caregiver) – Enables a foreign caregiver, under certain circumstances, to remain in Israel beyond the expiration date of their work permit. Together with MK David Azoulay. Amendment to the Traffic Ordinance (Duty to Provide Information on the Pledge of a Vehicle) – Provides that when transferring ownership of a vehicle, an automatic check will be made for information regarding the existence of a pledge on the vehicle. Together with MK Gideon Ezra. Municipal Tax Exemption for Institutions for the Rehabilitation, Training, or Employment of Handicapped Persons – Together with the members of the Hadash faction. Employees Notification Law – An amendment ensuring that employees of manpower contractors receive information about the terms of the contract under which they are employed. This law is intended to correct a situation where the employee is not informed of the terms that were agreed upon between the contractor and the actual employer, and to ensure that the employee is informed at the start of their employment of the employment terms to which the contractor is obligated towards the actual employer. The law requires that the employee be provided with the information needed to realize the rights. Together with MK Haim Oron. Law for Amendment of the Mandatory Tenders Law (Prohibition of Discrimination Due to Age) – The law is intended to prevent discrimination against a person in a tender process due to their age. This generally refers to discrimination against the older population segment, which due to its relatively advanced age is at risk of prejudiced and discriminatory treatment compared to younger contenders for the tender. Together with MK Zeev Bielski. Prevention of Cyclic Dismissals – Prevents the engagement of employees under a contract for a fixed period, at the end of which they are dismissed and then rehired, in a cyclic manner, enabling employers to avoid their obligation to secure the social benefits of their employees, including severance pay. Together with MK Shlomo Molla and MK Shelly Yachimovich. Prohibition on Taking Securities from Employees – Under the law, employers who take securities – checks, notes or deposits from their employees are liable to be punished with imprisonment or a fine. The law also applies to employees of contractors. Together with MK Shelly Yachimovich. Inclusion of Prohibition on Discrimination on the Basis of Sexual Orientation, Parenthood or Pregnancy by the Employment Service – The law expands the scope of the prohibitions on discrimination by the Employment Service. 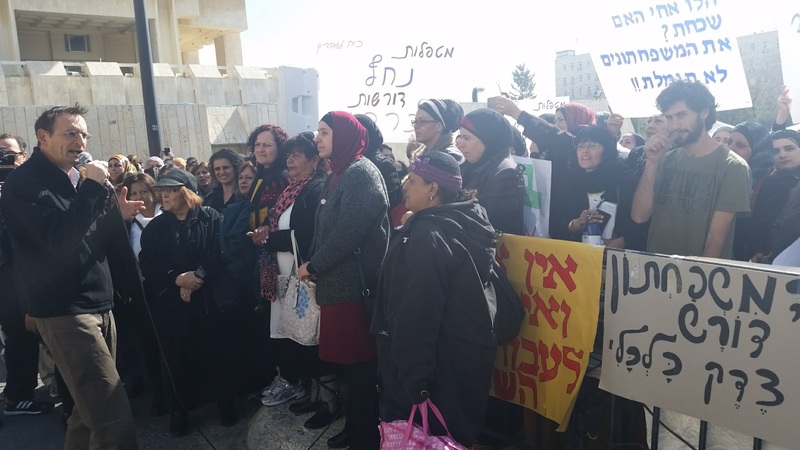 Together with the Women's Lobby, MK Nachman Shai and MK Afou Agbaria. Grant of Authority to the Labor Court to Extend Filing Deadlines – The purpose of the law is to allow the Labor Court to extend the deadlines for submitting to the court claims against the National Insurance Institute and appeals against its decisions. Until now, the law did not allow the court the possibility to extend these deadlines, even on justified grounds. Labor Laws Enforcement Law – A private member's bill adopted by the government and passed as a government bill. The law contains effective protection mechanisms for employees of contractors, albeit thus far only in the cleaning, guarding and catering sectors. This is a further development of the Responsibility of a Purchaser of Services for the Rights of the Service Contractor's Employees, which imposes responsibility for protecting the rights of a contractor's employees not only on the contractor who is their employer but also on the institution that purchased the services. The law was prepared for the second and third reading towards the end of the term of the 17th Knesset and gave birth to the government bill. Extension of Maternity Leave to 14 Weeks – MK Khenin was the first to initiate the law, which extended maternity leave to 14 weeks. Income Support Benefits for Battered Women in Shelters" – Battered women's shelters cannot serve the State as an alibi for divesting itself of responsibility. Women in these shelters need income support more than anyone, as they have no other source of income and arrive at the shelter penniless. Together with MK Zehava Galon. Prohibition on Advertising Prostitution Services – The law takes aim at the economic foundations of the prostitution industry. Together with MK Orit Zuaretz. Guarantee of Alimony Payments to Women Traveling Abroad – The new law forbids withholding alimony payments from the National Insurance Institute to a woman who travels abroad. Together with MK Faina Kirshenbaum. Amendment to the Juvenile Law (Trial, Punishment and Treatment) (Alternative Processes) – Instead of sending juvenile delinquents to jail, where they will receive training as future criminals, the law provides for alternative processes in which the youth assume responsibility for their actions and engage in remedial activity within various frameworks. Experience around the world shows that this approach is more just and also more effective. Together with MK Zevulun Orlev. Law for the Provision of Information to Parents – Establishes the right of both separated parents of a child to receive information about the child. Together with MKYariv Levin. Law to Extend the Activity of the Fund for At-Risk Children and Youth – The Fund for At-Risk Children and Youth was originally established as a means of dealing with the spread of poverty, economic hardship and social problems among children and youth following the slashing of child allowances. Over the years, the fund has developed a range of activities for aiding children and youth at risk, and its activity has garnered widespread praise. The fund was initially established under a temporary order that was due to expire at the end of 2007. The law extended the fund's activity for an additional year. Law to Prohibit the Sale of Lottery Tickets to Minors – The law prohibits the sale of lottery tickets to anyone under the age of 18, in order to protect minors from developing a gambling addiction and wasting large sums of money. Together with MK Ahmed Tibi. Prohibition on Cigarette Vending Machines – The law is intended to reduce the accessibility to youth of cigarettes and smoking products. Together with MK Uri Ariel. The Polluter Pays Law – A general law that updates and amends all the environmental laws in Israel. The law contains advanced mechanisms for the economic punishment of polluters, including both administrative and criminal penalties. It increases the punishment meted out to bodies that pollute without a pollution permit and also establishes a collection mechanism for bodies that pollute within the framework of the law. This mechanism is intended to encourage factories to switch to cleaner technologies. Clean Air Law – The law was approved in the first reading by the 16th Knesset, and was reformulated in the 17th Knesset with MK Khenin's active involvement. This is a comprehensive law that fully regulates, for the first time in Israel, the issue of the discharge of pollutants into the air, tightening the ring around polluting industries. Environmental Enforcement Law – Confers broad search and investigation powers on inspectors of the Ministry of Environmental Protection, and for the first time subjects the different security bodies to civil enforcement. Environmental Enforcement Law – Powers of Local Authority Inspectors – Empowers local authorities to enforce environmental laws, thereby simultaneously achieving two important goals – the one, environmental (increasing enforcement of environmental laws), and the other, social (injecting fine moneys collected from environmental polluters directly into the coffers of the local authorities whose residents are the main victims of pollution). Law to Reduce Air Pollution from Transportation (Amendment 84 to the Traffic Ordinance) – The law creates a clear division of power between the government and the local authorities, putting an end to an impossible situation in which either side could paralyze initiatives of the other. The amendment obligates local authorities to act to reduce air pollution caused by transportation in every case where there is a high level of air pollution. Environmental Transparency Law – Duty to Report the Discharge of Pollutants – The law establishes a requirement of transparency over the discharge of pollutants into the environment, imposes on factories detailed reporting duties, sets up a register of discharged pollutants and mandates the publication of the data to the public. Experience has shown that environmental reporting duties change the behavior of polluting factories and that environmental transparency is a major democratic tool for mobilizing the public to act against pollution and pollutants. Evasion of reporting will be a criminal offense and will also result in significant administrative-financial penalties. Energy Efficiency in Public Buildings – Establishes a comprehensive mechanism for reducing energy use in the public sector. Among other measures, every public institution must follow a defined plan for the reduction of energy consumption. The law also lists a series of energy-saving measures, including the installation of energy-efficient light bulbs, replacement of electricity-guzzling equipment and implementation of a procedure for the economic use of electric equipment. Together with MK Nitzan Horowitz and MK Orit Zuaretz. Duty to Install Water-Saving Devices in Public Buildings – Mandates the installation of water-saving devices, including flow regulators ("chaschamim"), in all public buildings. Together with MK Ophir Akunis. Law for the Protection of the Gulf of Eilat Coastal Environment – The law for the first time extends the scope of the Coastal Environment Protection Law, which applies to the Mediterranean coast, to include the coast of the Gulf of Eilat. Kinneret Protection Law – The law extends the scope of the Coastal Environment Protection Law to include the shores of Lake Kinneret (Sea of Galilee), and establishes an authority (the Kinneret Conurbation) that is responsible for protecting the Kinneret and its shores. National Mine Action Authority Law – Establishes an authority with responsibility for clearing hundreds of minefields that are scattered throughout Israel. Together with MK Tzahi Hanegbi, MK Roni Baron and a group of MKs. Prohibition of Driving on Beaches – Establishes clear prohibitions and definitions with respect to driving on beaches, clarifies the penalties for violations of the law, and creates effective and modern enforcement mechanisms to deal with this phenomenon. New Deposit Law – Assigns direct responsibility to manufacturers, based on the principle of "the polluter pays". Municipal Tax Exemption for Field Schools Law – Serves as a means for aiding environmental education institutions. Together with MK Zevulun Orlev. Electronic Waste Recycling – A law that originated in two similar private members' bills submitted by MK Khenin and MK Nitzan Horowitz. Subsequently, a government bill was submitted that adopted the main points of these bills. The law, which is predicated on the principle of "the polluter pays," provides for extended producer responsibility for the treatment and reduction of electronic waste that can cause soil and groundwater contamination, and makes arrangements for the collection and recycling of purchased appliances. Prohibition on Import of Animal-Tested Cosmetics and Detergents – The law prohibits importing into Israel cosmetic/cleaning products, not for health purposes, and detergents that were tested on animals during their production. Together with MK Eitan Cabel and MK Nitzan Horowitz. Prohibition on Declawing Cats Other than for Medical Reasons – The declawing prohibited by the law is generally performed by cat owners who want to protect their home furniture. This is an irreversible surgical procedure that causes the animal great pain. Together with MK Eitan Cabel. Law for Neutering and Spaying Dogs – The purpose of the law is to deal in the most humane way with the phenomenon of the thousands of stray dogs abandoned every year to suffer from abuse or die a painful death, by encouraging dog owners to neuter or spay their pet in order to prevent unwanted births. Under the law, whoever neuters or spays their dog will recover the cost within two years by means of a discount on the dog license fee. Together with MK Eitan Cabel.